These do not exist independently of one another. Emphasizing any one impacts the others. 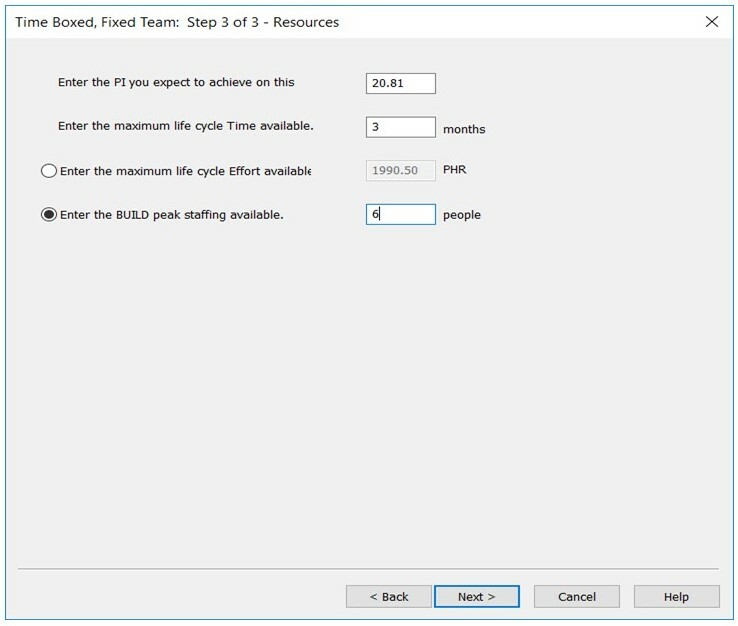 For example, to compress a project’s schedule, additional staff is typically added which increases the cost. Larger team size also increases communication complexity within a project which leads to more defects (lower quality). The development of software presents a unique issue that may not be present or is at least more muted in manufacturing: non-linearity. Key examples of this are the relationships between cost/effort and schedule and the one between schedule and quality. Let’s look at some examples. 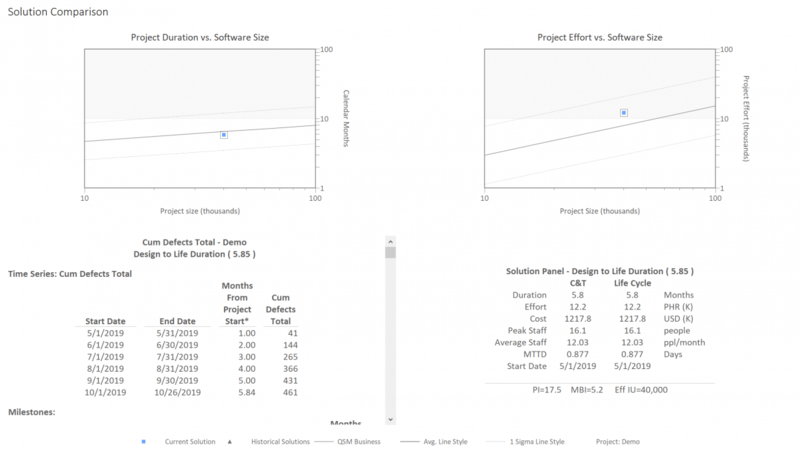 In the charts below, regression trend lines for schedule and effort vs. size were developed from the QSM software project database. 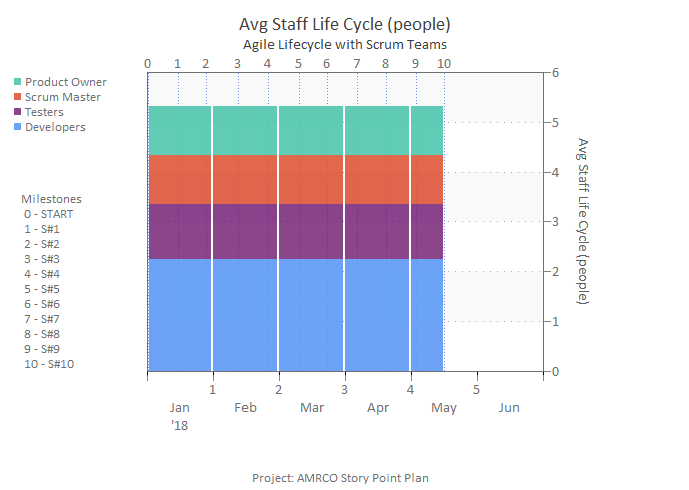 The darker center lines represent average schedule and effort outcomes as delivered product size grows. The lighter lines are plus and minus 1 standard deviation. 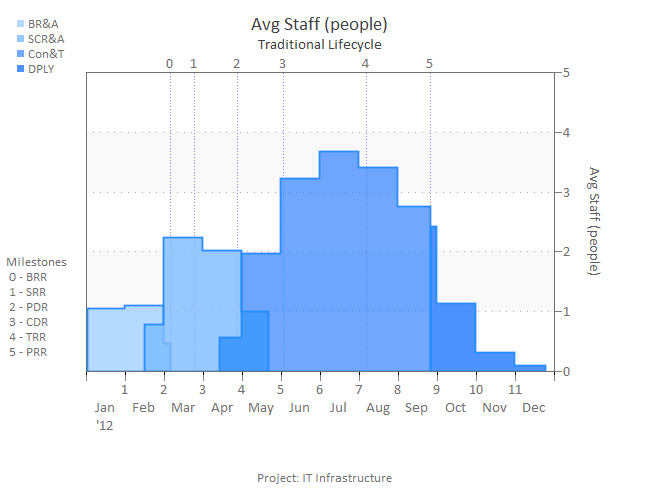 Roughly 2/3 of the projects in the database fall between the standard deviation lines. Note the scale on the axes, which is log-log. This is because the relationship between the amount of software developed and schedule duration or effort is non-linear. 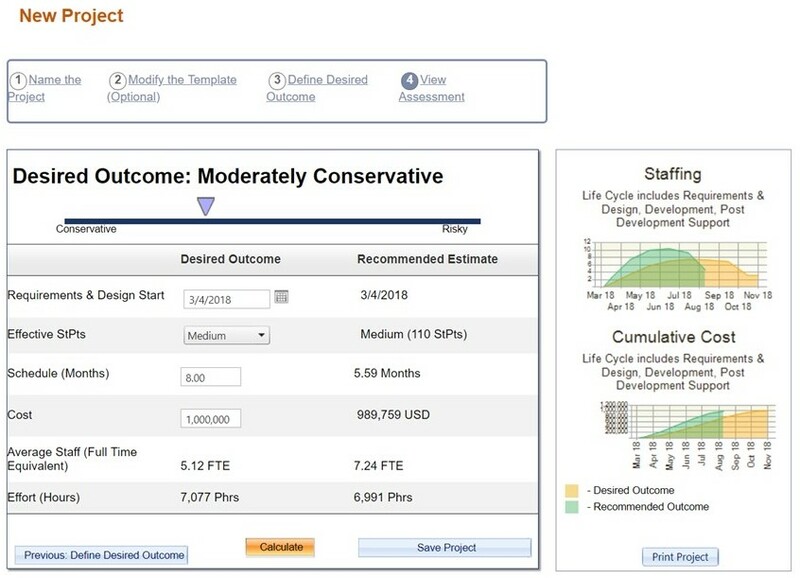 If you've been using SLIM-Collaborate's convenient, web-based project access to keep your stakeholders engaged and informed, you know SLIM-Collaborate offers streamlined, role-based estimation and data collection services designed to complement our feature-rich desktop tools. SLIM-Collaborate's simplicity and ease of use make it easier to promote consistent standards and practices to users across the enterprise, while seamless data exchange with the SLIM desktop tools lets your most experienced users leverage the power of advanced features. Recently we talked with SLIM-Collaborate users, and one request stood out: they wanted us to bring Contingency planning into SLIM-Collaborate. 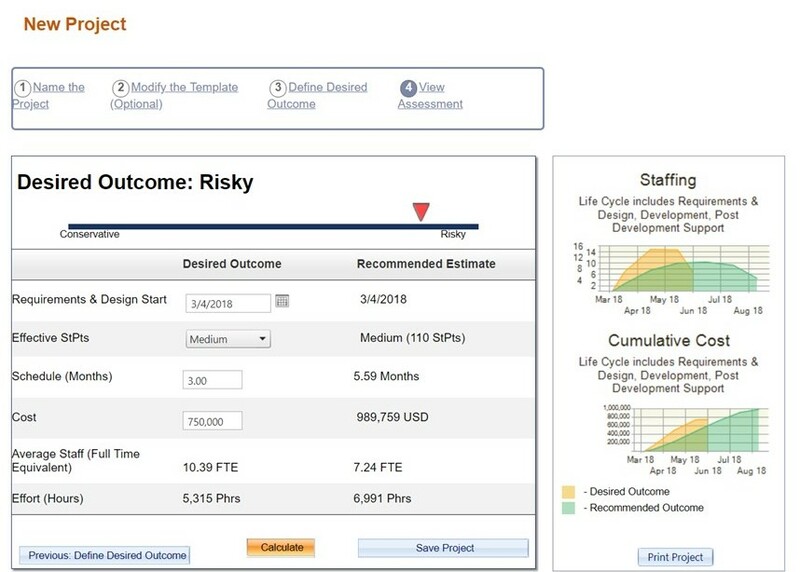 Release 3.1 of SLIM-Collaborate does just that, and even adds new risk buffering capabilities to the probability-based risk modelling available in SLIM-Estimate. Here's how it all works. 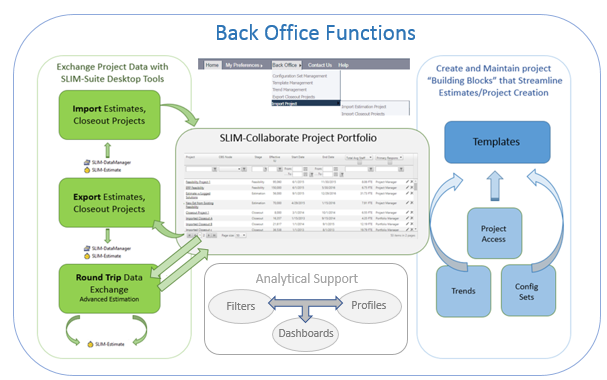 Part of SLIM-Collaborate's innovative approach lies in letting experienced users (the "Back Office") analyze the business, then design and publish reusable building blocks (templates, trends, filters, dashboards, profiles) that simplify and standardize estimation and data collection for less experienced users. We hear a lot about software projects that are too large or attempt to do too much in too short of a time. They are very visible and negatively impact both budgets and careers in a not positive manner when they fail. Small projects may fly under the radar. This is a mistake. Most IT projects aren’t large undertakings like Healthcare.gov; rather, they are enhancements and customizations to already existing software systems and account for the majority of most enterprises’ software budget. Planning these projects to be optimally productive is an area in which most companies can realize the greatest returns. How do you know what is the optimal amount of software to develop in a project? In a newly published software benchmark study QSM analyzed productivity, cost/effort, and time to market of a large sample (over 600) of business IT projects that have recently completed. The projects were divided into quartiles based on the amount of software they developed or customized, which were then compared to each other. Fully ¼ of the projects were smaller than 3,200 implementation units in size or 68 function points for projects that used that size measure. Projects in this quartile had a median productivity of 200 IU per staff month or 5 function points per staff month. The median duration of these projects was slightly more than 3 months. The second quartile contained projects from 3,200 IU up to 8,000 (or 69 to 149 function points). 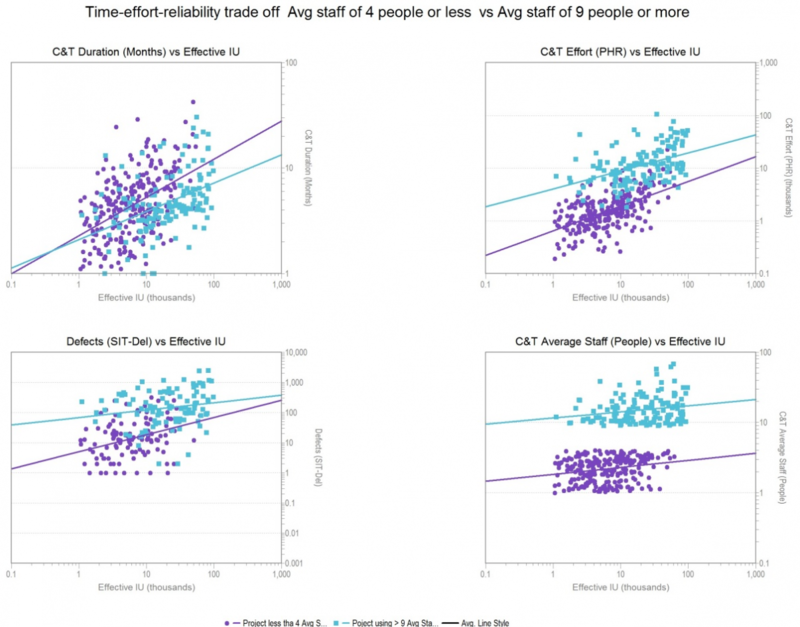 These projects had a median productivity of 377 IU per staff month (or 7.62 function point per staff month) and lasted a little more than 5 months. This is a productivity improvement of 89%. The smaller projects were markedly less productive. So, simply by bundling software work into larger packages there are significant efficiencies to be gained. Read more about Are Your Software Projects Too Small? 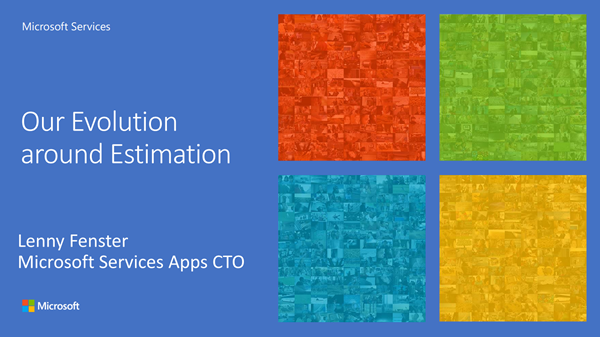 As the Apps Global CTO for Microsoft Services, Lenny Fenster sees the need for estimation in many shapes and sizes throughout the world. 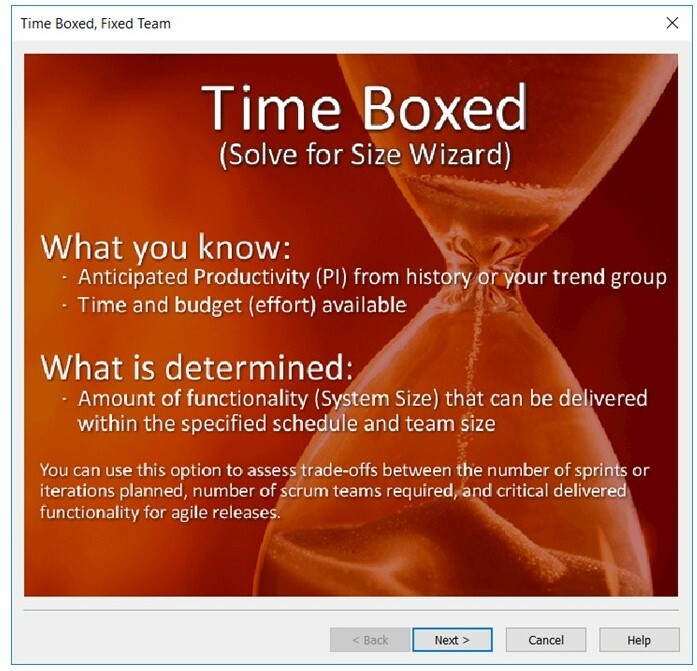 In his twenty years at Microsoft, Lenny has also seen many different attempts to improve how Microsoft Services estimates time and effort for software development projects. Not all of them have hit the mark. In this presentation for the QSM 2018 Virtual Conference, Lenny talks about the evolution his team is driving in Microsoft Services to improve the maturity, consistency, and defensibility of software estimation for some of the largest and most complex software projects in the world. He talks specifically about the intentional separation of scope and estimation and the use of SLIM as a key ingredient in the success they are now having. Estimates are now done much quicker, reducing the time to run an estimate from days to just 4.5 hours. QSM turns 40 this September! To celebrate this milestone, we will be hosting a free, all-day virtual conference on September 19th for current clients and those looking to learn more about software estimation best practices. The conference will feature presentations from IBM, Microsoft, Progressive Insurance, Rockwell Automation, and KPMG, as well as new developments in QSM research and tools. Below you will find a list of speakers and presentations. You can find the speaker's bios and abstracts here. Click here to register.